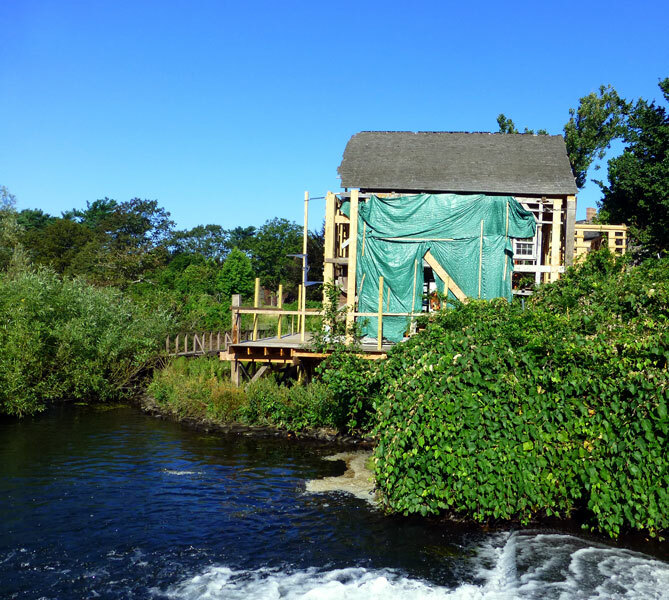 The Friends of Connetquot is presently working with the State of New York to restore the grist mill, which is a landmark of the Preserve and a registered National Historic structure. It is the only surviving "tub wheel" mill on the east coast. 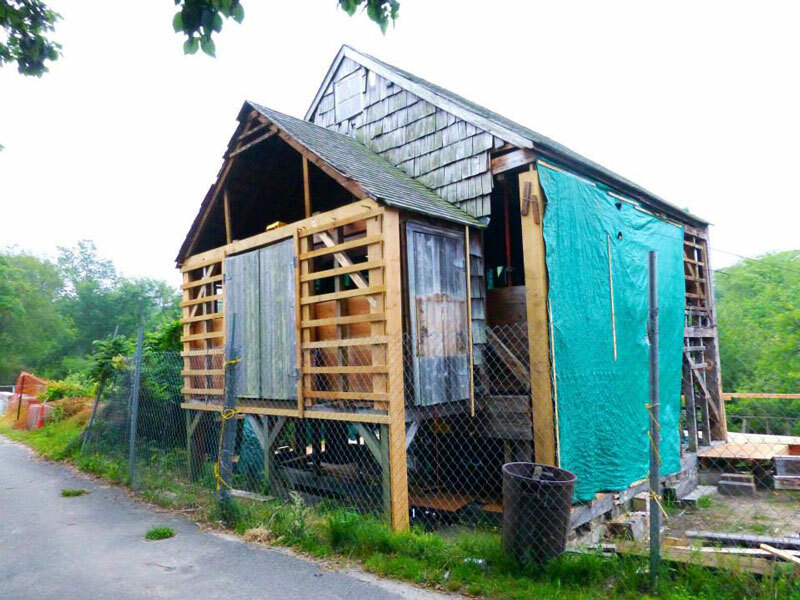 With your support we can make this structure a working mill and preserve it for generations to come. Plans have been prepared and work has started but we need money to complete the mill restoration and to continue funding improvements to maintain and enhance the Park. The Friends have already undertaken other projects large and small, including the fire suppression for the main building; restoration of the kitchen; installation of interpretive signs, a trail marker and new bridges; and purchasing grooming equipment for the trails. Additionally, the Friends have also hired a firm to study the feasibility of converting the ice house into a library, research area, and historic document storage facility in the near future. We appeal to all lovers of the outdoors: equestrians, fishermen, hikers, bird watchers and families who can appreciate the value of having such a pristine oasis in our midst. All who visit Connetquot State Park Preserve readily acknowledge it is a treasure worthy of everyone’s support. The Friends of Connetquot is a 501c charity and can receive tax deductible contributions from individuals and corporations. There are many ways you can help: Send a contribution using the form below, upgrade or renew your membership, attend the Friends functions, buy some of our logo shirts or bags. Please Note: The donation form is two steps...first is the general information regarding your donation (the form on this page.) After clicking the submit button, you will be redirected to PayPal where you will enter your payment information. Please complete both steps or your donation will not be processed. Nicoll Grist Mill! Restoration Is Now Underway! 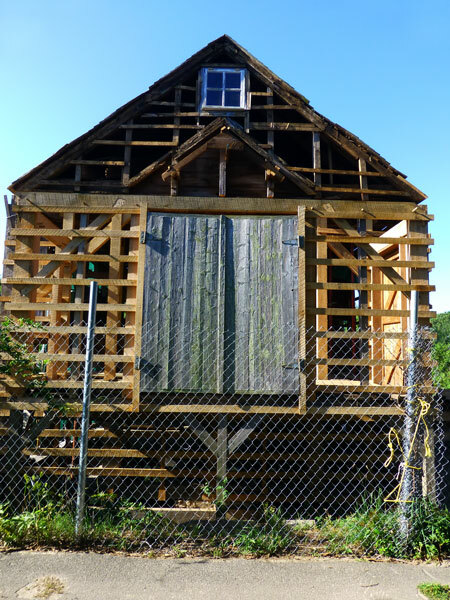 For more, be sure to read the article in the August 22, 2013 Islip Bulletin - "Where There's A Mill There's a Way"
If you've been to the Preserve recently, you will no doubt have noticed a flurry of activity at the historic Nicoll Grist Mill. We are happy to report that after much time in planning and with the support of our members and friends—the next phase of the restoration is now underway and will be completed within the next few months. 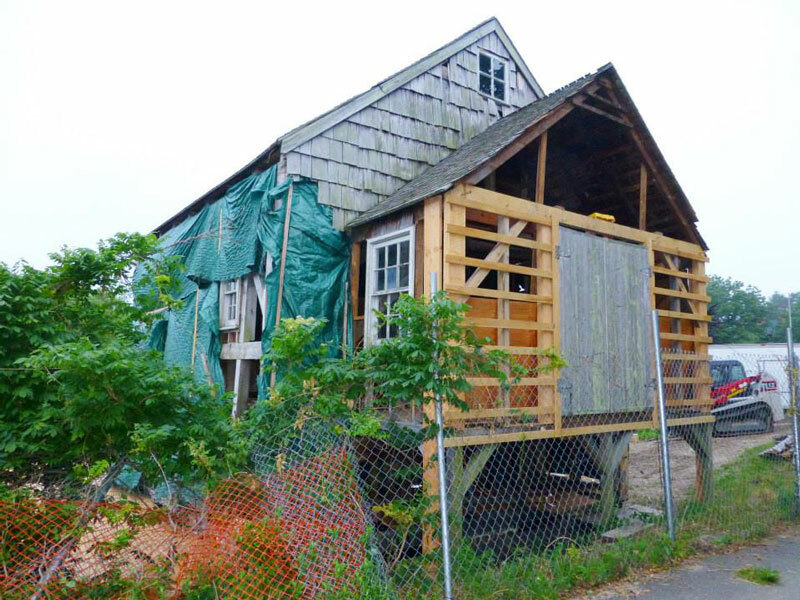 The Friends are thrilled to restore this important example of Long Island's colonial past. Constructed between 1697 and 1751, it is signiﬁcant as the only surviving example of a horizontal or tub wheel mill in the State. These wheels power the mill and were developed through a technology that can claim its origins from Greece in 85 B.C.! It is also unique because, unlike other mills in the area, such as Roslyn and Stony Brook, it is still on its original site with its building and machinery almost intact. We have hired WGP Construction, Inc. to do the work. 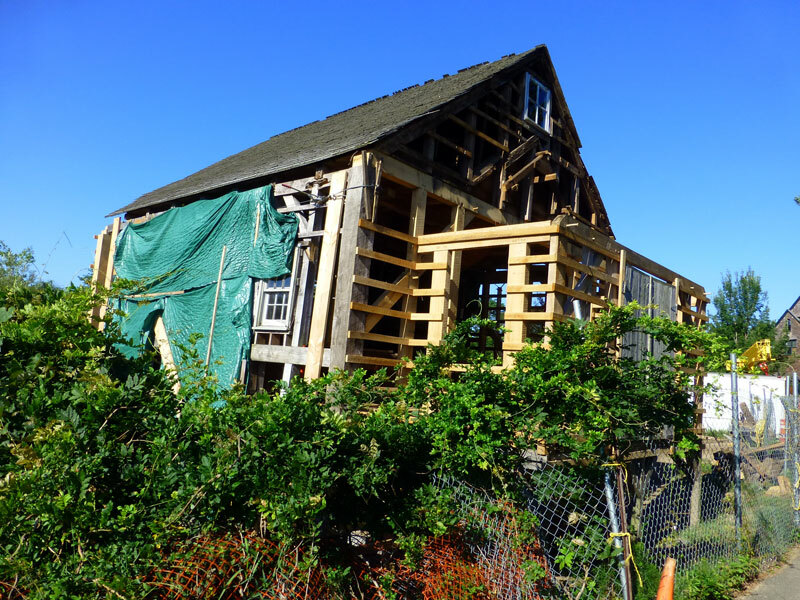 Because there was extensive insect damage in the Mill frame, WGP is slowly replacing the compromised beams, as well as the roof, shingles, windows, and doors. All of which are being finished to the utmost historical accuracy. When complete, the structure will be sound and able to support working mechanisms we plan to install to make the Mill function once more. The Friends' Board is very grateful to the many donors who have supported the project. 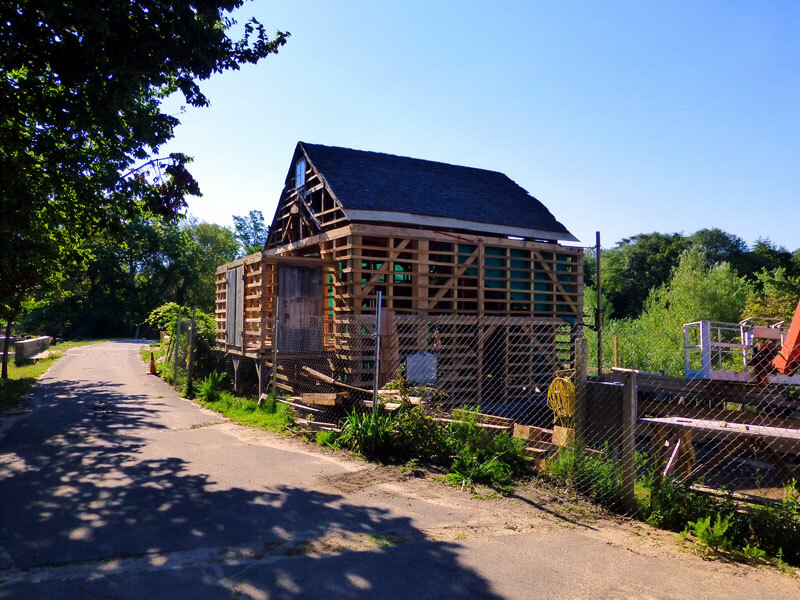 This backing helped the Friends succeed in securing half of the funding, which consists of two reimbursable, or matching, grants from the Environmental Protection Fund through the Long Island Regional Development Council and the Department of Parks, Recreation and Historic Preservation. However, this means matching funds will have to be obtained prior to accessing grant monies. We have matching resources available from private and business supporters, as well as members of the Friends, but we still need a little over $100,000 to fully cover the cost of $432,742 for this work. An online fundraising campaign is currently in the works; more information will be sent soon. We hope that you will help us raise what is needed to complete this important project and ask your friends, neighbors, and colleagues to do the same. All will benefit from the Mill project—but we won't be able to complete it without your help. Certainly, all Connetquot Preserve visitors will agree it will be a special feature to have there. The Friends think so, which is why we have taken on its restoration and plan to eventually open the Mill as a museum dedicated to Long Island's colonial heritage. It will be a welcome addition—one that celebrates the Preserve‘s history. Moreover, the Mill will be a new attraction for loyal visitors to explore and help introduce new visitors to the Park, such as those interested in colonial and early technological history. The possibilities are endless!